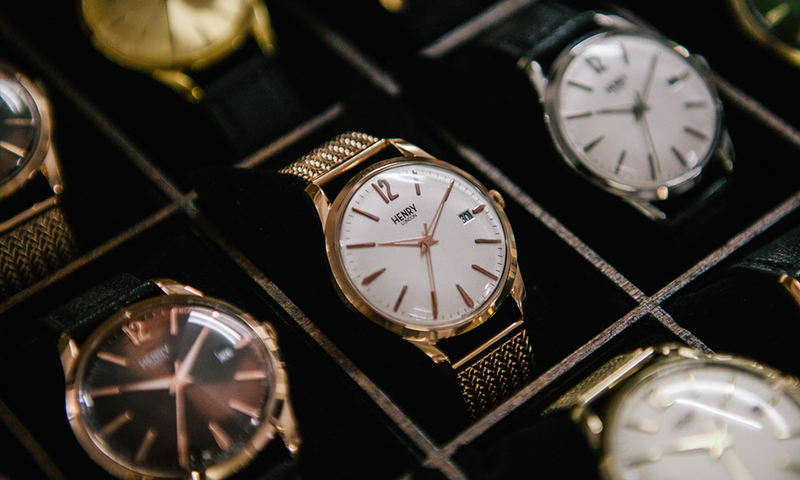 At The Watch Hospital we are welcoming the New Year with the addition of an exciting new brand. As one of the most hotly tipped designer watch brands of the moment and Watch Pro magazine's 2015 nomination for quartz watch of the year. 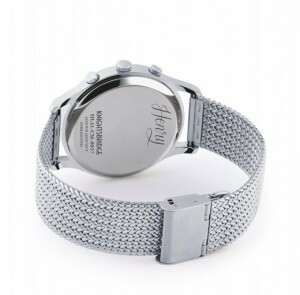 We are delighted to be introducing Henry London now available online. Inspired by the finding of a vintage swiss timepiece in London’s Portobello market, the watch hosted the engraving of “Henry 1965”. Two fashion designers fell in love with the watch and felt compelled to recreate it. 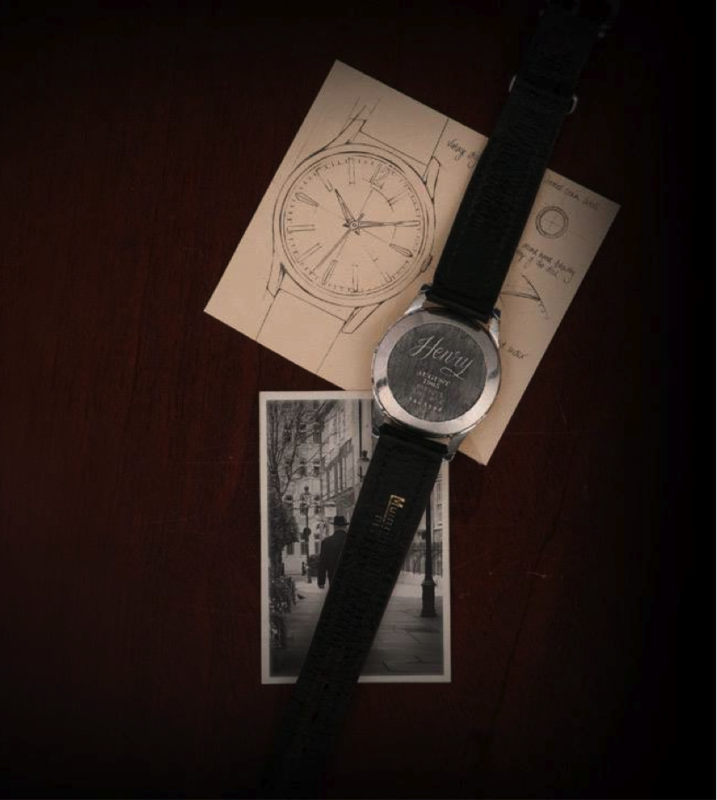 They took note of the simplicity and classic design of the timepiece and reinvented the product to introduce a new generation to Henry. The range has since developed and similar to the original, each timepiece is doused with charm and impeccable craftsmanship. 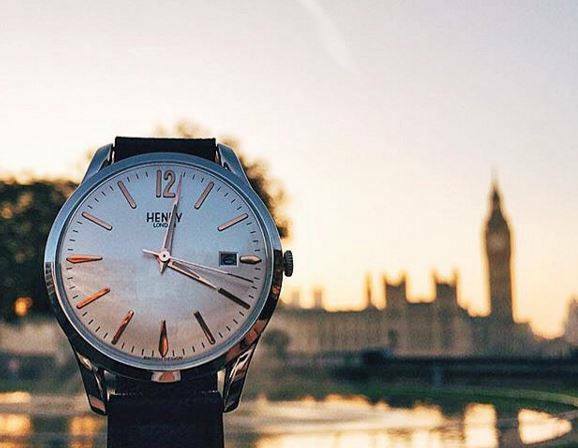 Each piece of The Henry London range hosts an acknowledgement to Henry’s birthplace of London. Consisting of 13 styles each hold their own charisma and are aptly named after different locations in the capital. 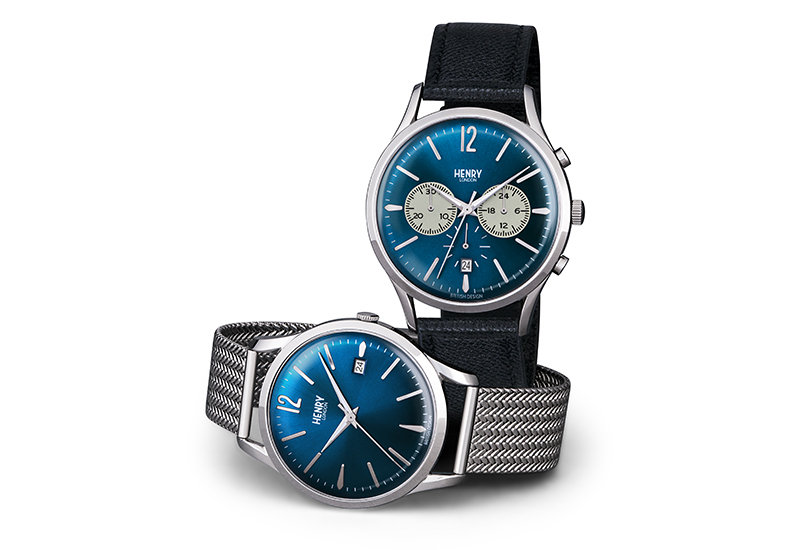 For example, the “Knightsbridge” featuring polished stainless steel case, a high domed lens and a stunning midnight blue dial or the “Westminster” that features beautiful gold cases complimented by white opaline dials, paired with classic soft leather straps in black or rich chocolate brown. The classic colours of the range are predominantly drawn from characteristically British objects or places such as the racing green of a vintage Aston Martin or the bright colours of a portobello doorway. Boasting both leather and stainless steel bracelet models, chronograph options and a hugely successful launch at Baselworld last year, we expect to see even bigger things from Henry London in 2016.